The features that define a good sofa cannot be seen – the spring system, the stability of the foam, and the durability of the upholstery. For the creation and development of Mags, Hay Studio focused on these elements. 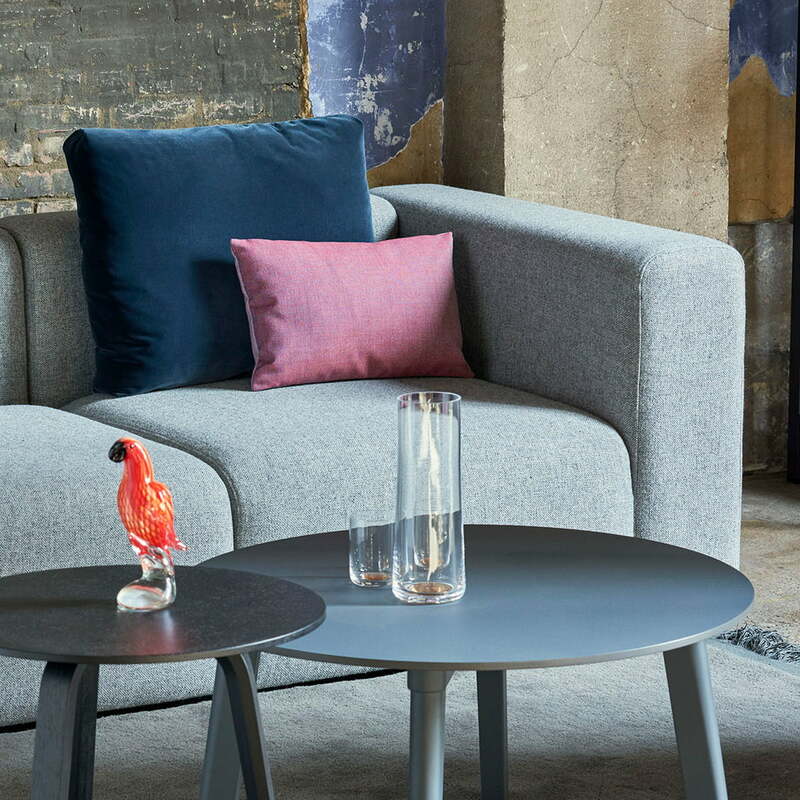 The Soft Sofa - a new variety of the Mags Sofa by Hay - is especially exciting with even more comfortable cushions. 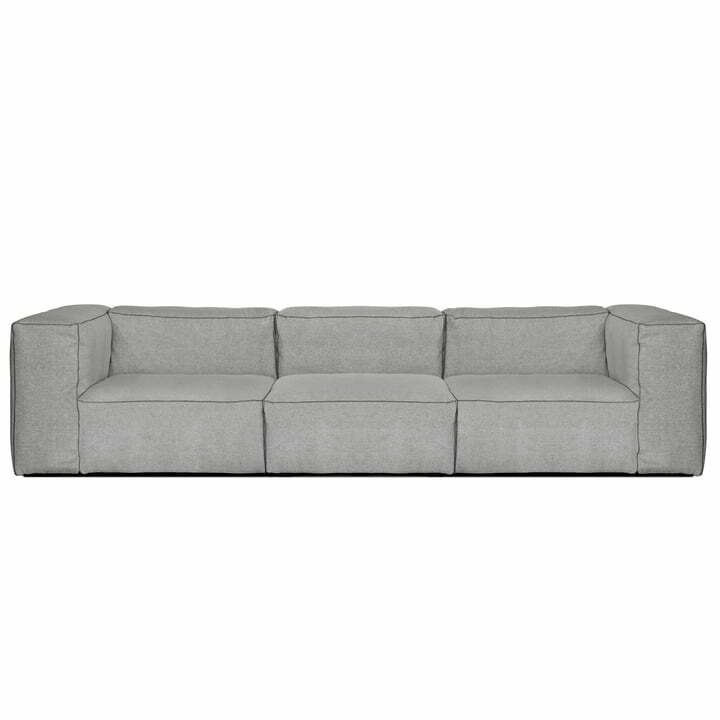 Less rigid and simply cosier, the new Soft version is presented with the usual minimalist appearance and high-end upholstery. 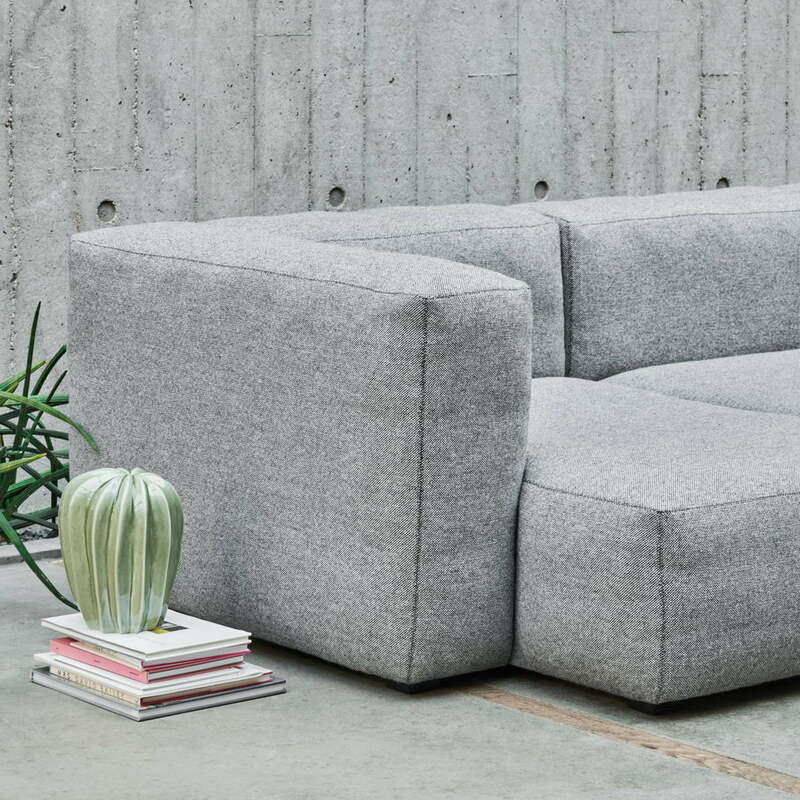 Its compact assembly - without loose cushions or upholstery - makes the Mags Sofa an especially adaptable sofa, which can be individually configured to your personal needs and wishes through a variety of different modules. The Hay Mags 3-seater consists of three modules. The variety of different modules available, including chaise longue and corner modules, means it is possible to design the perfect sofa for whichever room and occasion you desire. 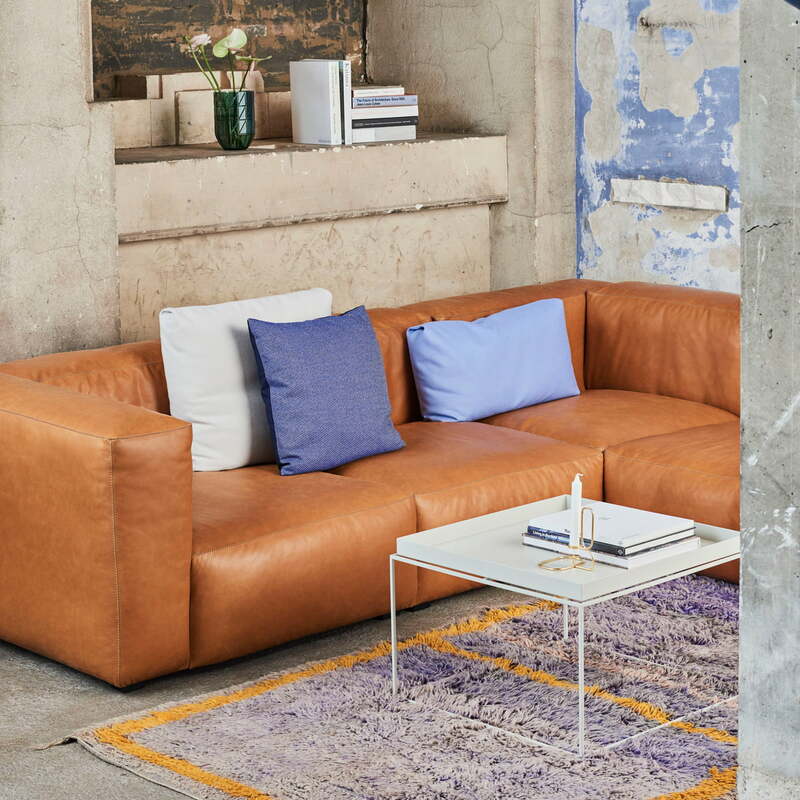 Not only can the modules be individually chosen, the variety of materials available also means that you can choose to have your Mags sofa in various Kvadrat textiles, in leather, and with decorative seams in different colours. Lifestyle product image of the Hay - Mags Soft Sofa 3-Seater Hallingdal 116. The Design of the Mags sofa by Hay is characterised by simple yet sharp elegance. Lifestyle product image of the Hay - Mags Soft Sofa. The compact design - without loose upholstery or seat cushions - makes the Mags sofa an adaptable upholstered piece of furniture that can be individually configured with a wide variety of modules.